A Mi-8 flew over a gas distribution station before returning to Crimea. 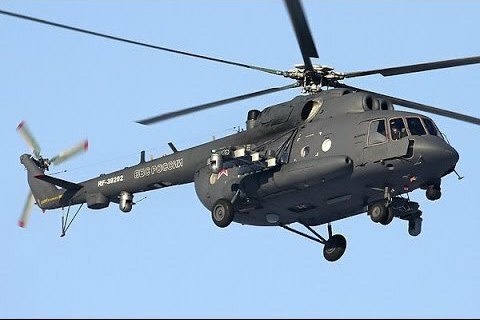 A Russian combat transport helicopter Mi-8 has violated Ukraine's airspace in Kherson Region, the State Border Service has said on its official website. "On 23 March, border teams of the State Border Service on duty at the Arabatska Strilka spit (Henichesk District) at 12:08 detected the Mi-8 helicopter (tail number 068) flying 1100 at the height of 1000 m to 200 m from the Sivash Lake," the statement reads. At 12:09, it crossed the spit above a gas distribution station before turning south at 12:10 above the Ukrainian gas distribution platform Strilkova-5 in the Sea of Azov, they said. At 12:12, the helicopter crossed the administrative border back into Crimea.